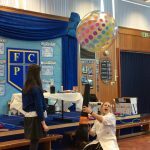 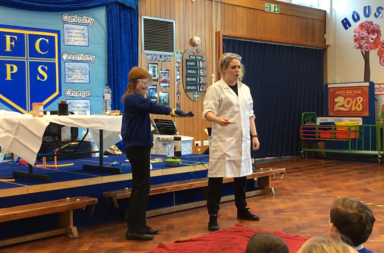 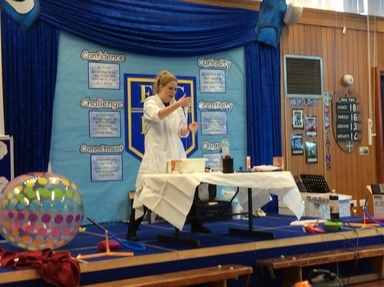 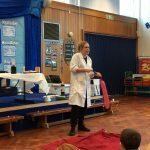 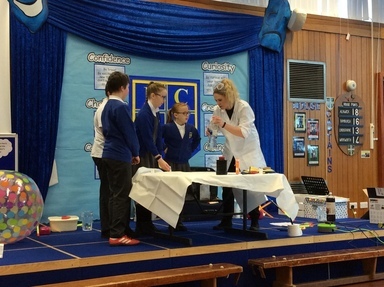 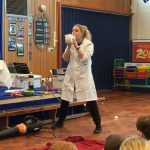 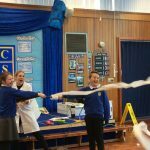 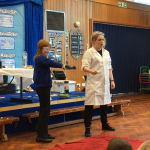 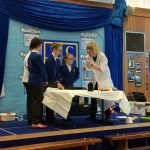 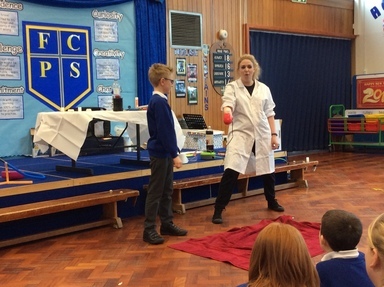 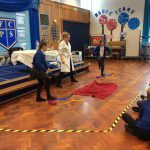 We kicked off our Science Week with a visit from the energetic and slightly ‘mad’ Professor Nitrate. 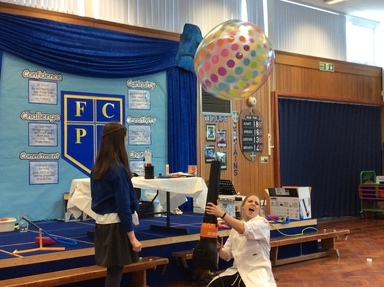 She took the children on a science tour of discovery, where they looked at what is needed to create fire, set off some explosive rockets while investigating chemical reactions then explored the magic of lift and the power of pressure to make balls float and cover the audience in toilet paper. 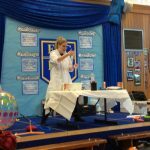 The children had a blast and learnt a lot along the way. 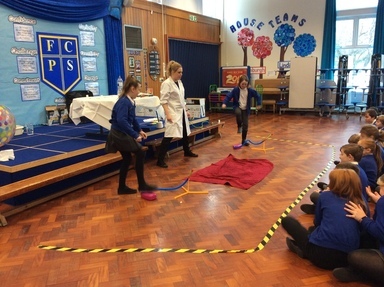 This looks like it was a fun session. 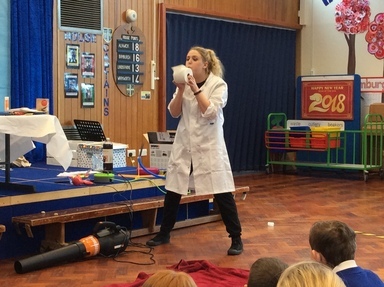 I bet all the children enjoyed it. 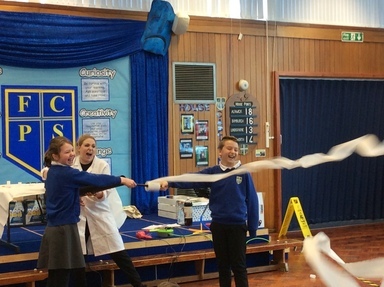 The toilet roll looks very entertaining judging by the their reactions!! 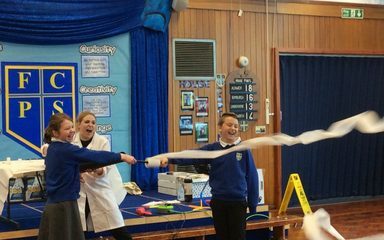 Love the photograph of the children with what looks like an exploding toilet roll! 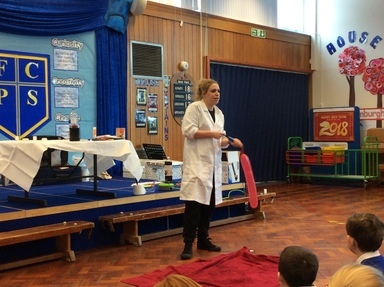 This certainly looks as though Professor Nitrate brought science to life. 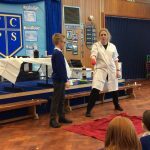 Great fun too!